This sheet was supposed to go to print a little over a year ago. Due to major changes in my personal life, it had to be put on hold. Things are now back to normal and new sheets are finally going to print. 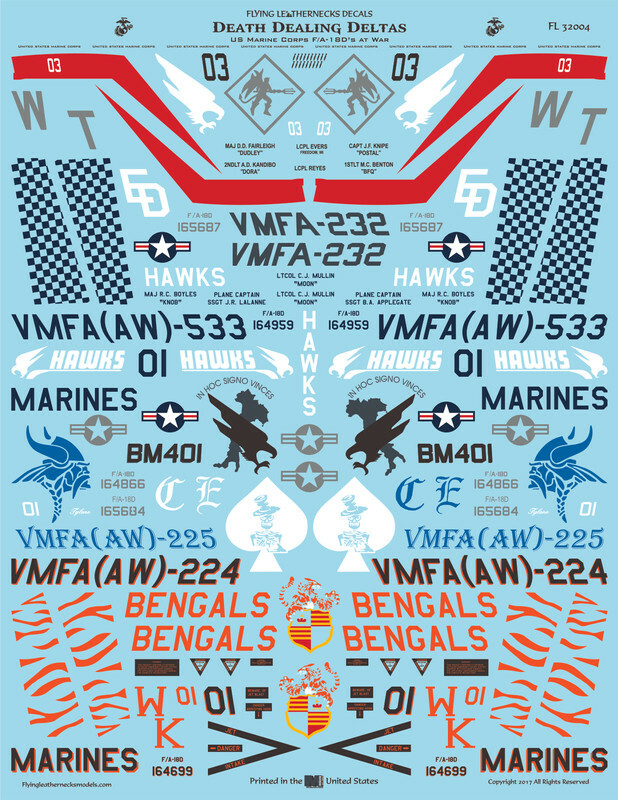 The sheet is 8.5 x 11 inches and includes markings for five F/A-18D's. Four of the options are as they appeared during combat operations. A second addendum sheet includes the remaining markings, including national insignia, intake warning chevrons, aircrew names, MARINES as well as a few others. Those of you that pre-ordered when this sheet was supposed to be released will be sent two copies. You may notice the VMFA(AW)-332 Lo-Vis option was dropped. This was in great part due to the receipt of clear and definitive reference material for the VMFA-232 F/A-18D ATARS option that replaced it. I currently have a 1/48 F/A-18A/C/D sheet at print with Microscale. This 1/32 sheet will be sent to print as soon as I receive the 48th sheet back. An F/A-18D ATARS conversion will be released in conjunction with this release. My sincere Thanks to LtCol Mullin, Maj Reneau, Capt Majeski, SSgt Applegate, LCpl Evers and Andy Walker of the RAF for their assistance with research and references. Looking forward to this sheet! Well worth waiting for, and it looks great! Have you every thought of doing some Canadian CF-118 or 104 stuff? Simple answer is no. 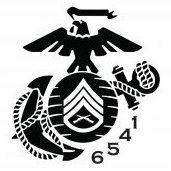 For the decal line, I will only cover Marine Corps aircraft.